So those of you who know me well enough know that I wouldn’t usually write a “cutesy” title like the one above, but the little smocks that they wear in Argentina in preschool are so dang cute, what else could I write? 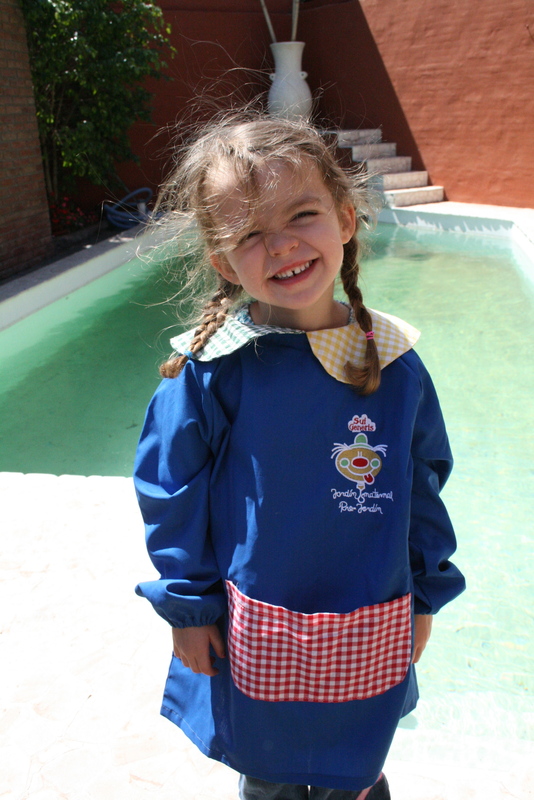 Molly has recently started preschool (jardin) here in Cordoba, and so far, so good! The jardin is called Sui Generis, and according to my Spanish teacher, that is also the name of a crazy former Argentine band http://en.wikipedia.org/wiki/Sui_Generis. The community center/gym in which the preschool is housed has an indoor and an outdoor pool, so Molly and her jardin buddies get to go swimming twice a week. She’s thrilled! The teachers are warm and loving (like all the teachers seem to be here), so it is the right place for us! Molly says her favorite thing about her preschool is the pool, but she hasn’t even gone in yet: tomorrow’s the first swimming day. Molly was ready for this big change: she needs an outlet for her energy, we want her to have some friends her own age, and we want her to learn more Spanish! We are so very fortunate because jardins seem to be about as common as Starbucks in Seattle here, and her’s is two blocks away. From 9:30 – 12: 30 she plays, sings songs, does crafts, swims, has an English class, and eats snack. A lovely way to spend her mornings while the boys, Rob and I work away the hours working on our Spanish, and grade school curriculum. 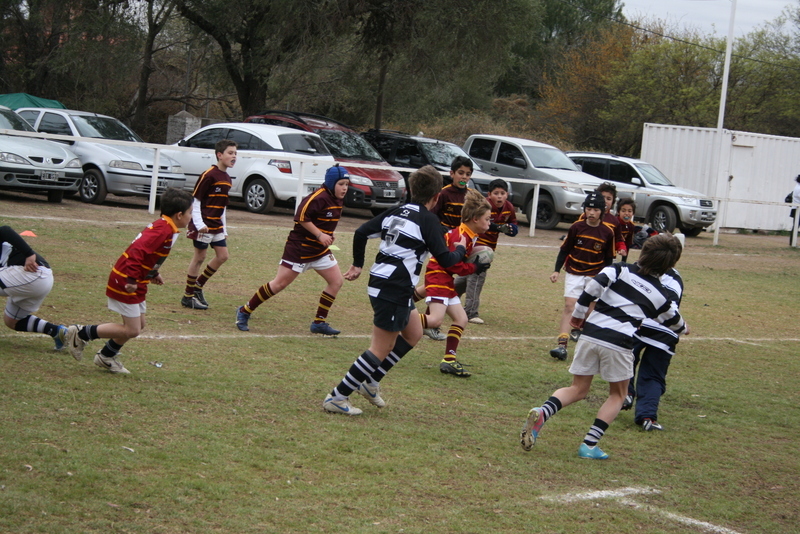 The boys are still playing rugby, and this past weekend it was COLD, and the boys raced over the field to keep warm. Apparently, they were playing the Jailbirds. The pool is full now, and someone came to clean it today. They had some pretty specific instructions for me, but I didn’t really get it all, so if our skin falls off the first time we take a dip, I’ll know we used too much chlorine. Maybe we should just invest in someone to take care of that for us. Now all we need is the weather to warm up. We’re headed to the “mountains” this weekend for a long weekend, so maybe we’ll be able to swim when we get back! It’s been a big week for Mother Nature in Cordoba. This past week we’ve had 100 degree days and 60 degree days. High winds and no winds. Massive brush fires surrounding the city have been somewhat contained now, followed by an earthquake nearby on Wednesday night! It was centered near Alta Gracia and shook the house for a few seconds. 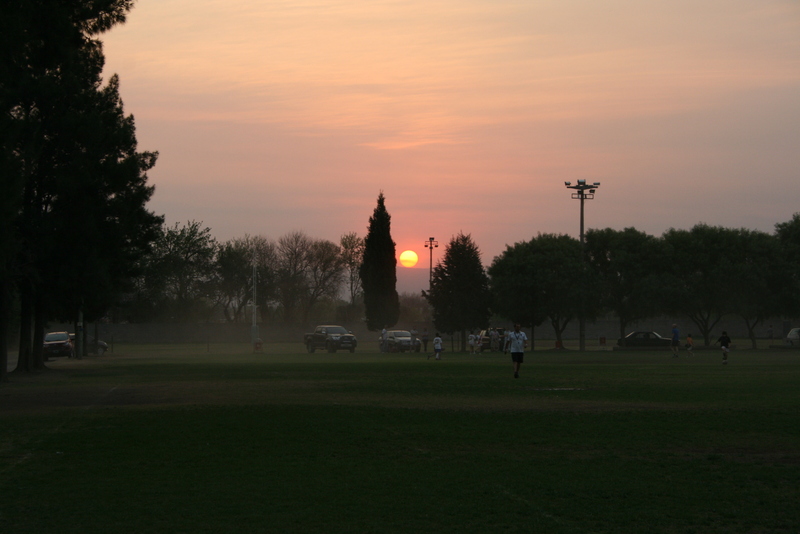 Earlier in the week the city was hazy with smoke and bits of ash in the air. We’ve spent the week getting more organized and established with school, work and life here, but can’t help but feel pretty guilty and privileged to be able to provide our kids with this opportunity, yet events like the fires and realities such as the weak peso cause others to suffer all around us. After we hosted our first asado on Sunday, we discovered that our friend Dolore’s family house outside of Cordoba was destroyed. We have begun to figure out schedules around siesta along with our weekly grocery and meal plans. We are juggling schedules sans car for shopping, walking the kids to school, paying bills, watching Molly and coordinate house repairs, and set up services like water and security. Budgeting each week is coming together gradually. Erica is starting to pick up more English teaching gigs. 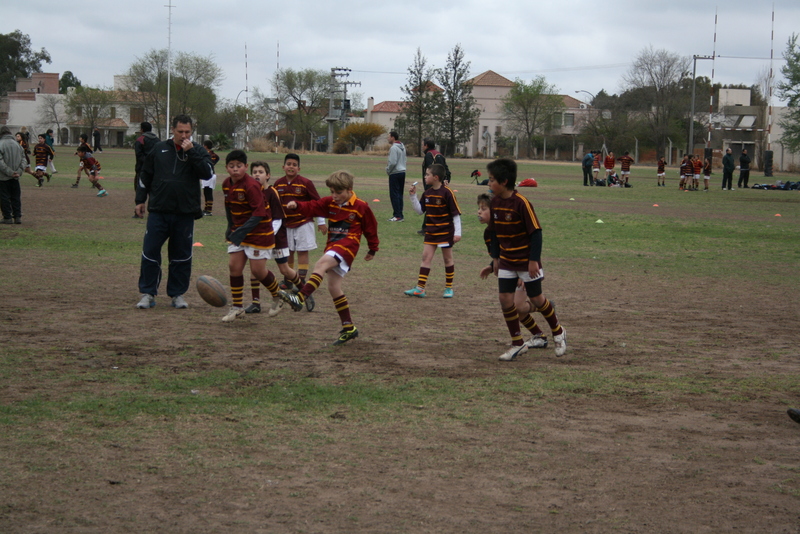 Erica and I start Spanish classes 2x per week starting next week and the boys have joined a local rugby team! The boys are meeting lots of new friends at school and despite some very persistent older girls, they seem to be having fun and becoming fluent fast. 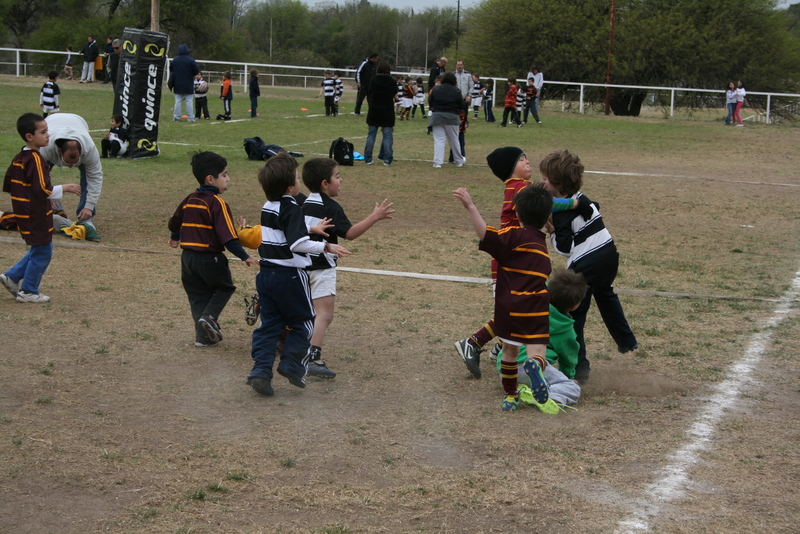 Ben actually wrote a note to one girl that said, “No me gusto, basta!” Hearing the boys speak with their friends at rugby practice has been a thrill. First match tomorrow might yield another post soon! My ever so patient husband has been after me for quite some time now to write a post about our house search. We’ve been in our house at Lafinur 3572 now for one week. We’ve settled in quite nicely, and are looking forward to hosting our first asado (for all Argentine friends—-wish us luck!) this Sunday. This was a journey that started for us, really, back in April when Rob and I came on our own for a “scouting mission.” We looked at just a few rental houses then, and although we in no way expected it to happen, it would have been really nice and easy if we had met someone in the process who said, “You know, I don’t have anything now, but I do have this lovely house that will be ready at the beginning of September. When did you say you’re getting here?” Well, that DIDN’T happen, so instead of arriving with a set place to live, we arrived with a set place to stay: N’Aike Casa de Huespedes, http://www.naike.com.ar/. The people there were wonderful, but we were ready to have our own space, and the kids were ready to spread out and run around. Several difficulties exist when trying to find a rental house in Cordoba from afar. The first difficulty, for us, was the language barrier. Neither Rob nor I speak enough Spanish to really get along well in a face-to-face conversation, so the thought of trying to have a conversation on the phone about real estate put us into a cold sweat. Language barriers aside, however, we soon found out that real estate agents will only show you the properties that they represent, so in essence, you have to have several real estate agents working for you at the same time. And then there’s the whole issue of the fact that we were trying to look for these properties from many, many miles away. 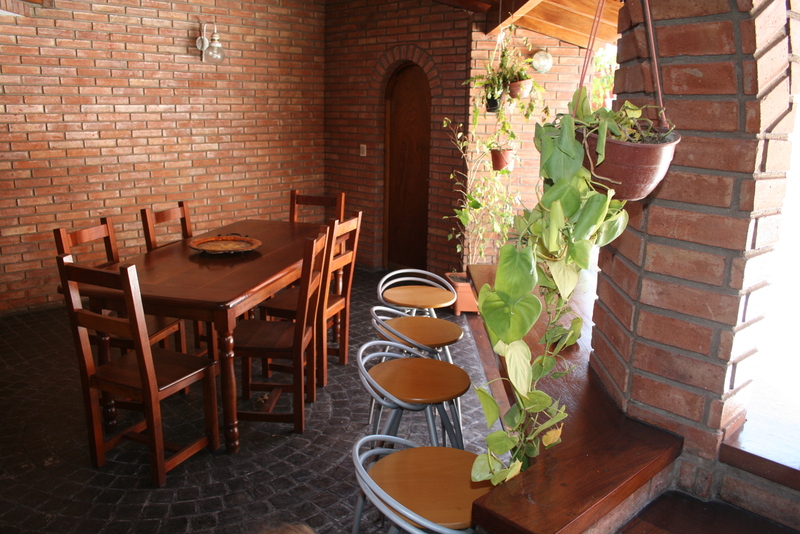 Like many things in Argentina, finding a rental house is all about who you know, and what contacts you have. As a general rule, Argentines prefer to conduct all business face-to-face. We had a very difficult time getting anyone to return our phone calls, and an even more difficult time getting them to return e-mails. When we did get a returned call or e-mail, people would ask us to just come by their office. When we explained our situation, they simply told us to give them a call once we arrived. Having something as major as SHELTER (I’m pretty sure it’s one of Maslow’s basic physiological needs) as part of the unknown was not a comfortable feeling. Lucky for us, Rob and I had our individual periods of anxiety at different times. This made it much easier for one to calm the other one down and remain cool-headed. 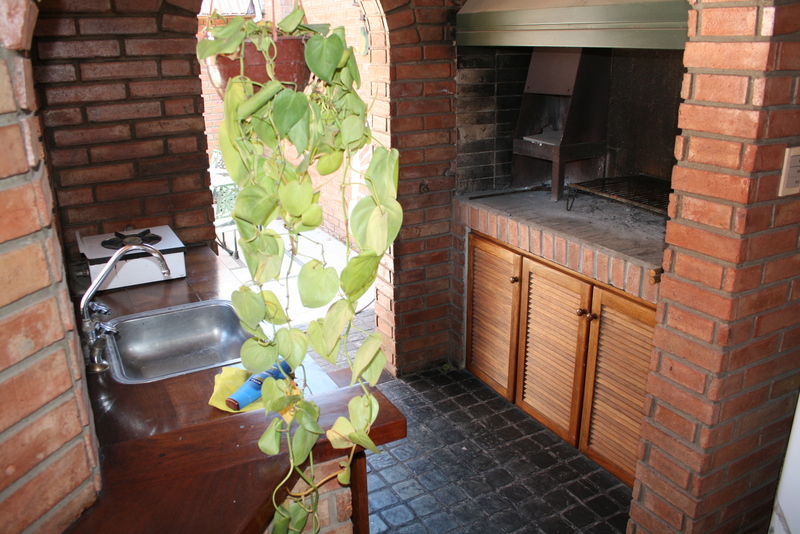 Although you can find listings on web sites like casas.trovitargentina.com.ar, and La Voz, many of these listings give a very brief description of the house, and have no pictures. And I found out fairly quickly that although houses may be listed, that does not mean they are available. This was the most frustrating part for me because, of course, I would find a lovely house in the same neighborhood as the boys’ school, and it would have been rented six months ago. How easy, it seemed, it would be to simply erase that listing when the house was rented…hmmm….. Yet another stumbling block that we encountered (although we knew about this one in advance), was that most houses in Argentina are either rented for short-term (up to 6 months), or long-term (at least 2 years). The short-term rentals are furnished, and the long-term rentals are not. We wanted to rent a furnished house or apartment for one year. This probably would not have been as much of an issue had we been looking downtown, but because we wanted to be in a more residential neighborhood, there were fewer options. Apparently in Argentina, once someone is in your house, and has started paying bills, it is very difficult to evict them. This is even the case if the person is basically squatting, and not paying any rent. The difficulty to evict them becomes even greater if they have children. People told us stories of court cases that dragged on for years of home owners (who were not even renting their house–it was just a private vacation property!) trying to get squatters out of their house because those people had moved in, started paying the property taxes, and refused to leave. Because of this, owners of rental houses require what is called a “guarantee.” This is basically a co-signer who promises to take on the rent if the original renters refuse to pay. Getting a guaranteer can be very difficult, and complicated. Often it involves getting pay stubs and tax papers from the guaranteer, and proof of employment from both the renter and guaranteer. Not having employment, and preferring not to ask our new Argentine friends to put themselves forward to be our guaranteer, we were forced to approach this from a different angle, re: cash up front for six months rent. After spending about 10 days looking at different rental properties (most of which were basically empty: no furniture, no kitchen appliances, NO LIGHTS! 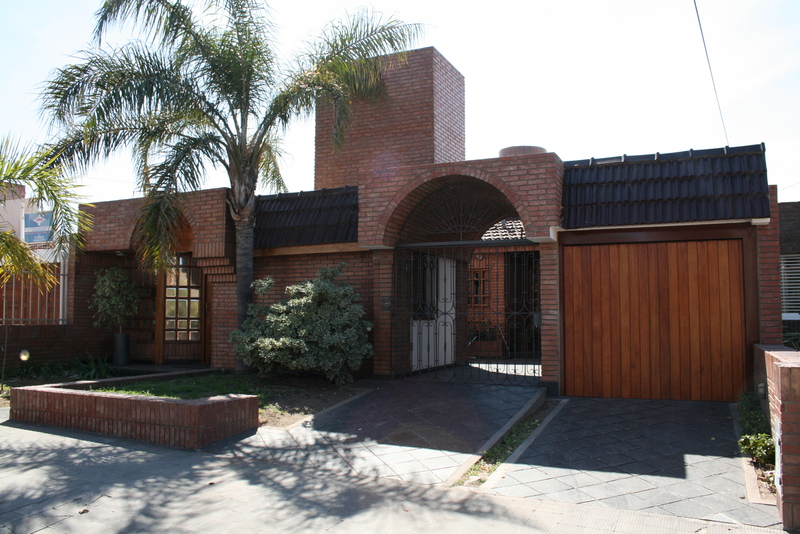 ), I decided to ask one of our real estate agent, Matias http://www.ilamarca.com/home, a very American question. Did he have any clients who were trying to sell their house, and would be willing to basically move out for a year, take the house off the market, and let us rent it lock, stock and barrel. He thought for a minute after I asked him this, and then said he might have one, but he would have to contact her first. The next day we walked in to Silvina’s house on Lafinur. and all the furniture that we could have asked for. These are really pictures of our quincho and parrilla. Except for the fact that we have two ovens that basically don’t work the way I need them to (one is electric and shorts out the power in the entire house every time I turn it on–obviously it’s not plugged in to the right kind of outlet, and the other one is gas, and has two temperature settings: on and off) everything is as swimmy as it could be here—except that we’re not swimming right now: the pool has a leak, and they are supposed to come by “tomorrow” to fix it. But in all seriousness, we feel lucky and blessed. We have a great little house in a lovely neighborhood that is walking distance to the boys’ school. 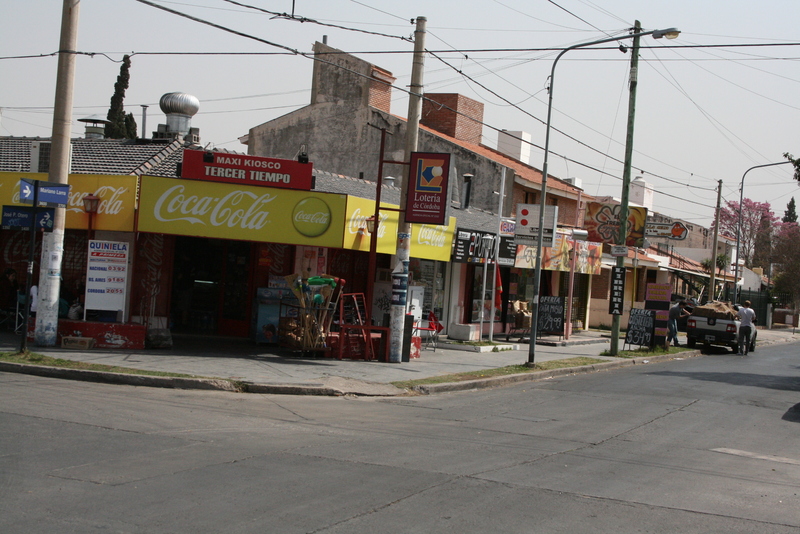 Within three blocks there are 2 vegetable stands, two meat markets, three chicken markets, a bakery, 2 ice cream shops, a paper shop (for school supplies), a pasta shop, a cheese shop, and two corner stores that sell pretty much anything you might need. Now if we could just get that pool filled: it’s supposed to be 95 next week, and this is still winter!